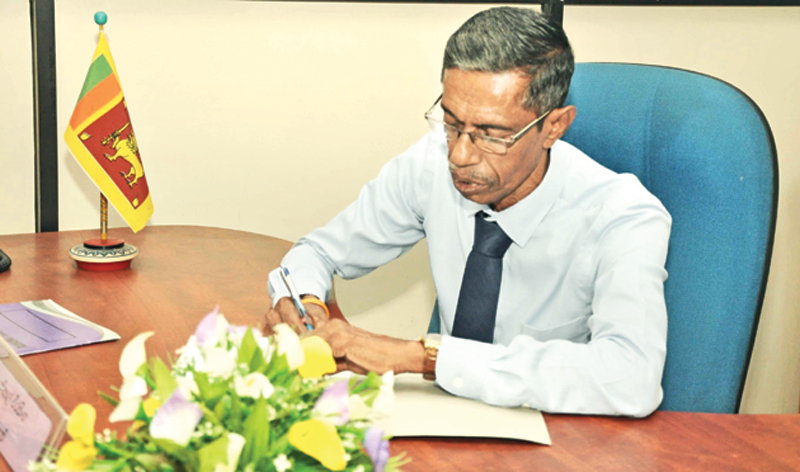 Nihal Weerasinghe assumed duties as the Ruhunu Tourist Bureau Chairman at the bureau’s headquarters in S. H. Dahanayaka Mawatha (Richmond Hill Road), Galle. Weerasinghe, a former Baddegama Pradeshiya Sabha member, served as the Media Secretary to the late Minister Amarasiri Dodangoda and Mahinda Yapa Abeywardana when they were Southern Province Chief Ministers. He is the Inquirer into Sudden Deaths of Thelikada Majuwana Division of the Baddegama electorate, Galle. On the same occasion, Dilip Nissanka, a reputed teacher in Galle, assumed duties as Deputy Chairman of the Ruhunu Tourist Bureau. Nissanka is also a Provincial Correspondent of Lake House. The new appointments were made by Southern Province Chief Minister Shan Wijayalal de Silva in his capacity as the Tourism Provincial Minister. Chief Minister’s Private Secretary W. H. Dayapala was the Chief Guest at the event representing the Chief Minister. Several Provincial Ministry Secretaries, including high ranking officials of state organisations, boards and departments attended.